This year’s Speciality and Pre-mixed Masters showed that there is innovation and quality in this corner of the market, with even greater potential to capitalise on burgeoning cocktail trends. Speciality spirits is a wonderfully complex category – and consumers are finding much to be excited about in its vast and varied offerings. Apéritifs are becoming increasingly popular, thanks to the lower-­abv trend that’s sweeping the globe, while a thirst for bitter flavours has also been gaining traction as imbibers reach for a Negroni or Aperol Spritz. 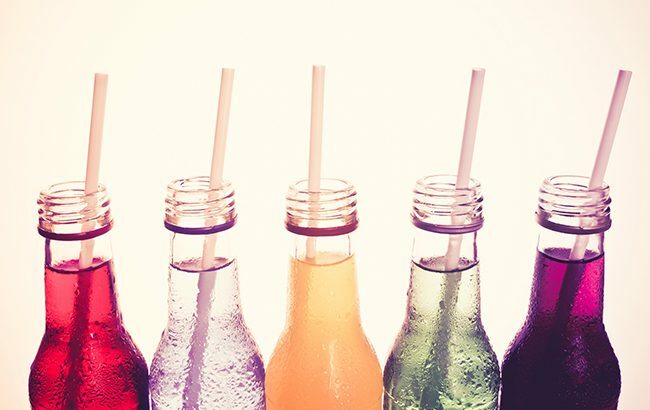 Convenience is also a high priority for the modern­-day consumer, meaning there has also been a large influx of pre­mixed tipples coming to market in recent years. Whether bottled or canned to grab and go, or simply needing the addition of the main spirit, the ready-­to-­drink (RTD) market has evolved far beyond the days when Smirnoff Ice and VK were the sole choice of brands. We assembled two expert judging panels to assess the state of both categories in the 2018 Speciality and Pre­-Mixed Masters. Hosted in The Den at 100 Wardour Street, London, the first panel was chaired by me, Melita Kiely, deputy editor of The Spirits Business magazine. I was joined by judges Ben Manchester, bar manager at Bluebird Chelsea, and Massimiliano Bosio, bar manager of The Den. Chairing the second panel was Ben Lindsay, director of Garnish Communications, who was joined by Dmitry Mishin, general manager at Honest Burgers, and Josh Powell, head bartender, consultant and drinks writer. 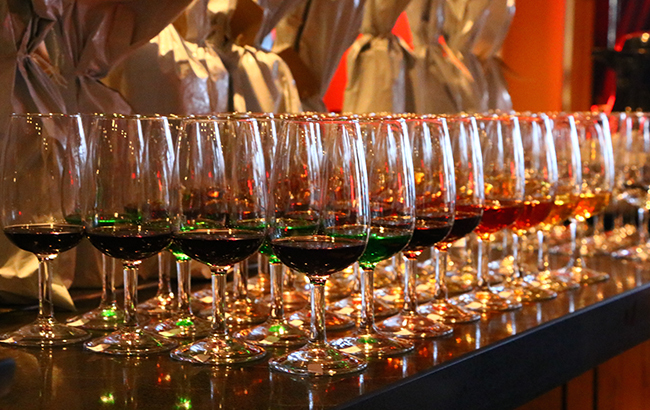 Kick-­starting the Speciality arm of the tasting was the White Whisk(e)y flight – a heat of unaged ‘whisk(e)ys’. Walking away with a Gold medal was Helsinki White Dog 100% Rye Malt from The Helsinki Distilling Company, said to be “grassy and mineral, and with a slight honey note at the end”. My panel started with a Fruit Spirit flight, in which we found two Gold­-worthy recipients, both made by The Helsinki Distilling Company. The first medal was given to Helsinki Tyrnipontikka for its “vegetal, herbaceous vibrancy”, while the second went to Helsinki Applejack for its “long aftertaste” and “full, round flavour”. “These both had very bold flavours,” said Manchester. My panel then braced our palates for the Absinthe flight, which surprised us all with Master winner Meanie Absinthe. With its “delicate” nose and “herbaceous” palate, plus hints of coriander behind the anise, judges were impressed with how “well managed” the spirit was, given its 68% abv strength. “I don’t drink absinthe very often but if I did it would probably be an absinthe like this,” said Manchester. As we left the Speciality contingent behind, Lindsay’s panel was getting started on the Partially-­Made Cocktails flight. Four Gold medals were awarded in this round to the following products: “floral” Tipplesworth Garden Collins Cocktail Mixer; “honey, fruity, floral” Tipplesworth Festive Punch; “acidic” Easy Mixers – Rosemary; and “cherry cola, cinnamon and plum” Easy Mixers – Queimada. The first two partially­-made drinks required the addition of gin, while Easy Mixers – Rosemary could be mixed with gin or vodka, and Easy Mixers – Queimada could be made with wine, aged rum or brandy. Tipplesworth also gained a Silver medal for its Tipplesworth Espresso Martini Cocktail Mixer, which simply needed to be shaken with vodka. The final flight of the day – Pre­Mixed Drinks – drew a throng of Silver medals and one Gold, the latter presented to Aldi’s Bluegrass Bourbon & Cola, which “did exactly what it says on the tin” and had “well-­balanced flavours”. Nine Silver medals were also found in this group, with judges particularly enjoying Noveltea’s The Tale of Earl Grey, Silver Swift’s Basil Blush Vodka’s “strawberry Ribena” taste, and the complexity of The Xpresso Martini by Club Belmont, which combined “coffee, bitterness, sweetness and chocolate” on the palate. 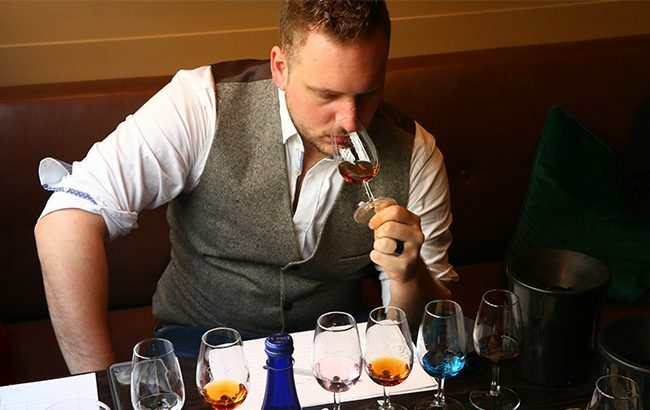 Looking back at the range of products sampled during the competition, judges were impressed by the innovative nature of speciality spirits – but noted that pre­mixed producers could be more experimental with their flavour choices and spirits pairings. Click through to the following page for the complete list of medal winners from the Speciality and Pre-mixed Masters 2018.